Over years and years, Yoga has developed continuously. It was mainly a practice to reach a higher state of consciousness. Today yoga is seen more as a comprehensive practice that is open to everyone to reach a state where the body and mind are in harmony. For most people nowadays yoga is practiced for its asanas (the physical exercise). But it is actually a whole philosophy of life. Age, religion, physical restrictions etc. do not play a role in yoga as everyone can benefit from its healing effects – everyone in his own speed, own variations, adapted to each and everyone’s needs. When somehow captured in the everyday life – with its speed, hectic, stimuli – practicing yoga has quite a therapeutic effect. With regular yoga practice, it is possible to become a better and more attentive observer of your own body and mind which then helps to cope with everyday life at ease and to better understand own reactions. The need to deal with stress, makes the practice of yoga an ideal option. As said above, yoga is not just a physical exercise routine, but a combination of our physical, mental, and spiritual faculties. Contrary to popular belief, yoga is not an archaic path that only rishis and yogis choose to treat. In fact, yoga can help negotiate the many ups and downs (big and small) of life. 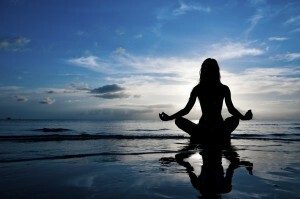 What sets yoga apart from other fitness systems is its focus on the mind, body and spirit. Yoga stimulates glands, facilitates cell replacement, improves blood circulation, increases flexibility, detoxifies the system, calms the mind, keeps you energetic, strengthens the body and helps to connect with yourself. Sounds good? So why not start your practice right away or take it as your new year resolution? With this quote in mind, have a look at our first video on YouTube. 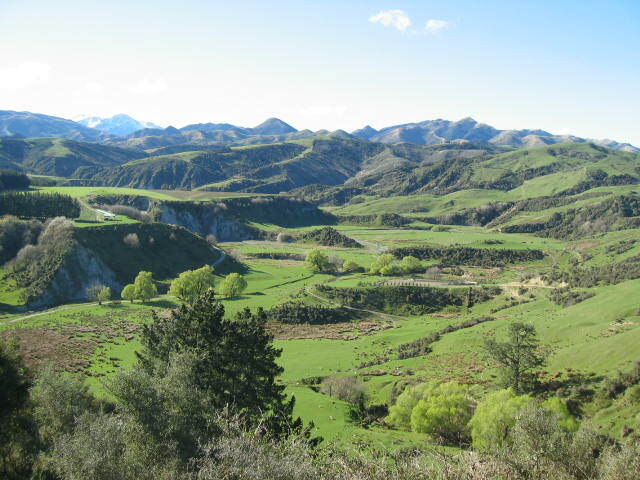 It is far from perfection but is with content posted to this blog. When you never or very rarely see your own body moving, you might be surprised how it actually looks like when you see it. 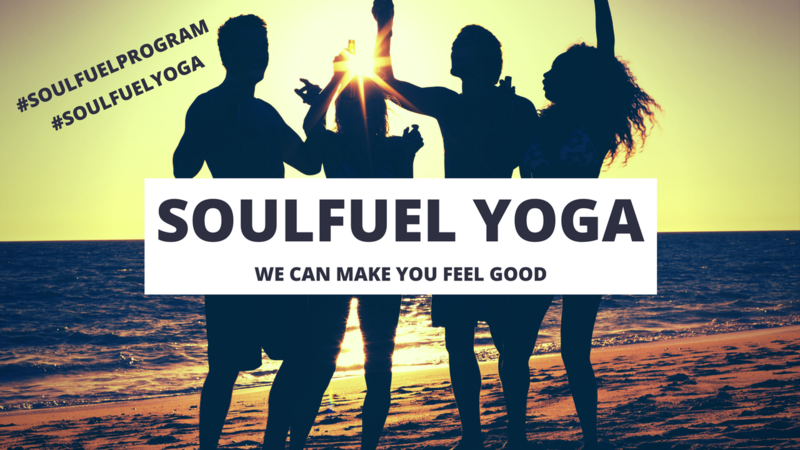 Hope you enjoy it and more will follow on our YouTube Channel Soulfuel Yoga – you are happily invited to follow us there as well! When I started to teach I usually spent a lot of time preparing the class. I was a little scared because of so much responsibility for so many strangers in one room. So I wrote down each asana and each transition between the asanas. And I decided how many minutes it would take to get in and out of an asana. And because I wanted the greatest experience for my students, I put a lot of asanas in one flow. Only to realize in class that my plan would not work out the way I designed it. All these individuals with all their individual needs and bodily issues, with their various personalities – and my missing experience to teach – led to classes that were either completely behind the planned flow or to exhaustement of everyone in the room, including myself. In a little flush of impatience I asked one of my teachers if the experiences I had so far with teaching were normal ones. And all he said was that I need to grow into teaching, it will come. And eventually he was right – of course. It took a little while but as soon as I gave myself the opportunity to grow into teaching, it was much easier and my fear and excitement before class disappeared. I did not feel the necessity to plan each and every class in each and every detail but more and more a flow just developed during class, influenced by all these individuals and their individual needs in that particular class. Taking in on that vibe when entering the room is the most exciting moment. And giving in on that vibe possibly allows for the best yoga experience for both the students and the teacher. Therefore, if you have just started to be a yoga teacher, try not to be impatient with yourself but give yourself the time to grow. Take on whatever your students might give to you – as most likely you will experience that the path you walk together is a learning experience for both, that you can feed each other, that you grow together. And in the end – there is no end of learning and growing but it is an ongoing process as long as you cherish the fruits of learning and growing. With feet and legs in a hip-wide position, sit on the edge of the chair. Open the arms shoulder-wide and then stretch the arms up towards the ceiling, therefore lengthen the spine. Twist the torso to the right (pelvis is stable and does not rotate) and place hands on the both sides of the chair’s backrest. Let the shoulders drop away from the ears and with the strength of the arms and an exhalation, get even deeper into the twist. Take a few deep breaths before releasing this posture. 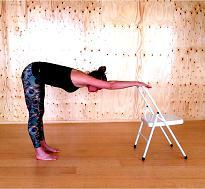 Sit at the front end of the chair and stretch both legs forwards. Place the left foot firmly on the floor with a bend knee and lean the upper body forwards (hands can find support on the left knee) while the toes of the right foot pull towards the body. The backside of the right leg gets a gentle stretch and the more you lean forward the better the stretch is. Sit at the front end of the chair and open feet hip-wide with the knees above the ankles. Lift the right arm up and bend it to 90 degree (upper arm parallel to floor, forearm parallel to your upper body). From below, wrap the left arm around the right arm and try to place your palms together (or place left palm against right wrist). Let shoulders drop away from the ears and with an inhalation pull the hands straight towards to ceiling. Sit at the front end of the chair and open feet hip-wide with the knees above the ankles. Let the right ear sink towards the right shoulder. You can place the right palm gently on the left side of the face. Do not pull the head towards the shoulder but just slightly enhance the stretch on the left side of the neck. The left hand draws towards the floor. After a few deep breaths, release the side, straighten the head and let the chin drop towards the chest. Sit at the front end of the chair and open feet hip-wide with the knees above the ankles. Breathe out and bend forward between the legs. Let hands touch the floor and relax the head as far as possible. The reason for my very first yoga session was a regular pain in my back depending on the hours I sat behind my office desk. Complaining to a friend about tension in the lower back, this friend recommended to visit a yoga class – which I did and to what I have stuck to so far. Since my very first yoga class, my back pain has been gone – and in my opinion, it has mostly to do with the improved alignment of my body. When during the day in the office I feel uncomfortable sitting all day long, I only need to remember moving my shoulders a little back and down and drawing my belly button towards my spine – and immediately I feel sitting more straight and more awake and agile. A lot of postures can easily be modified to be practiced throughout the day in the office when you feel tension in the back and shoulders or when you get tired behind your desk. In the following, I will describe my favorite 10 “Behind The Desk Asana’s” that help to (re-) align the body, release tension and awake the spirit and mind. Sit at the front end of the chair and open your feet hip-wide with the knees above the ankles. Interlace fingers and stretch arms over your head with palms open to the ceiling. To avoid an overstretching in the upper body, make the arms touch the ears. Draw the belly button towards the spine and take a few deep breaths. Sit at the front end of the chair and open your feet hip-wide with the knees above the ankles. Bring the right arm close to the right ear while the left arm draws towards the floor. Let the left ear slightly drop to the left shoulder, bend sideways to the left and try to look towards the ceiling under the right arm. Sit at the front end of the chair. Interlace fingers behind the back, breath out and bend forward between the legs while the arms pull towards the ceiling. Try to move shoulders backwards (away from your ears) and release the head between the legs. Sit at the front end of the chair and open your feet hip-wide with the knees above the ankles. Lift arms parallel to the floor and rotate the left arm so that the palm faces up. Then the right hand pulls the left hand backwards towards you with the left hand’s fingers facing to the floor. Place the chair so that the backrest points towards the room. Let hands rest shoulder-wide on the top of the backrest and then walk feet backwards until arms and back are parallel to the floor. Feet open hip-wide and legs are straight with the hip above the ankles. The head is as relaxed as possible and the breath is helping to lengthen legs and upper body including arms. Every August, the Earth is crossing the path of comet Swift-Tuttle and its dust particles allow us to watch an army of falling stars during some nights. 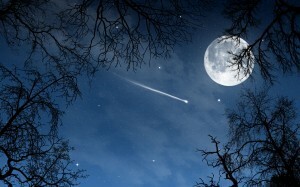 In my childhood I was told, that for each falling star I see I can make a wish. But how often do I really make a wish – spoken or just unspoken? Consciously or unconsciously? Is there a right or wrong way of making a wish? And what is making a wish come true? The secret for making a wish to come true is to just let go, to trust – yourself and the power of the universe – , and to convince your active mind that there are no limits with regards to your wishes. It sounds so easy and is yet so difficult to transfer into real life. When rushing through everyday life, it sometimes seems to be an unsolvable task and a wish is made with a hasty mind, spoken or unspoken, conciously or unconsciously. Watching a falling star means you stop for a moment and your mind is focused on making that particular wish – even if it is just a very short moment. The wish is then let go with the falling star burning. And perhaps, because you were told during your childhood many times that each falling star means one wish, the mind is quieted down and is convinced that the wish you made is actually coming true. So how can you bring yourself in a situation as if you are watching falling stars? There are many books that explain the secrets for making wishes come true in greater detail and they also describe a lot of positive examples. But it is mostly very practical advice of how to correctly formulate a wish and only little hint as to how letting go, finding trust and convincing your mind – that is how to find yourself in a situation as if you are watching falling stars. … to let go: which is a bodily reaction when my muscles relax from a state of tension – and if I want or need to let go I just need to think about that bodily reaction I feel during my practice. … to trust: which is the trust that my body is able to do a certain asana, that I am not getting hurt as there is a natural limit that prevents any harm – and I try to transfer that trust into my everyday life. …to quiet down: which means to quiet down my active mind – resulting in a state in which other sensations can take over. Therefore, my yoga practice offer all means of help to get myself into a situation as if I am watching falling stars. And perhaps the one or the other wish might be coming true at some point in life.